Hello Walkers! 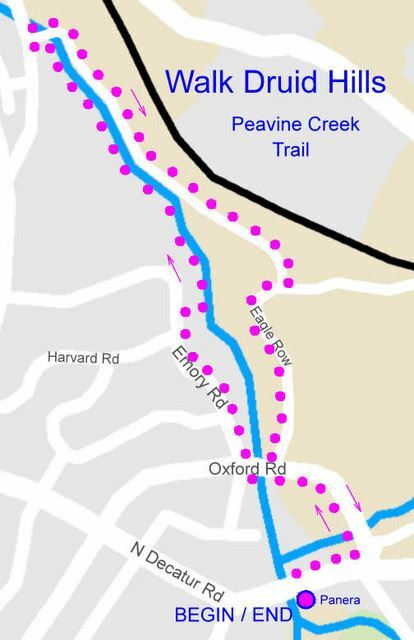 We hope you will join us this month as we hike the Peavine Creek Trail north of Emory Village. We will meet at Panera Bread in Emory Village on Saturday, November 10 at 9:00 AM. The walk totals about three miles and portions of the walk includes stairs and uneven paths.